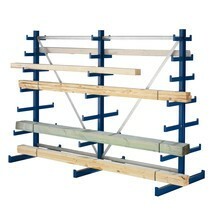 Instead of £608.00. You save £30.40 due to the online discount . 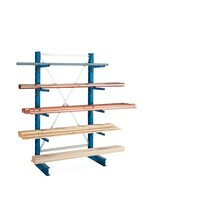 Metal pipes, wooden beams, poles, as well as sheet goods in over-long lengths pose special challenges for warehouse management. 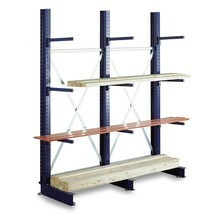 If these goods are among your regular warehouse items, you should facilitate their storage with specially designed racking systems. 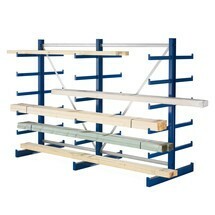 Since this META cantilever rack can be loaded only on one side, it is located on walls or against the back of other racks. 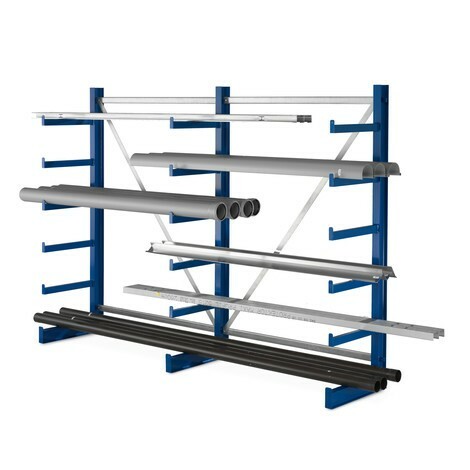 It is suitable for all types of long goods because the integrated roll-off protection allows for the correct loading of all pipe and roll-shaped products. 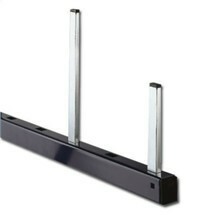 The racks can be constructed quickly because the cantilever arms are already welded to the uprights. 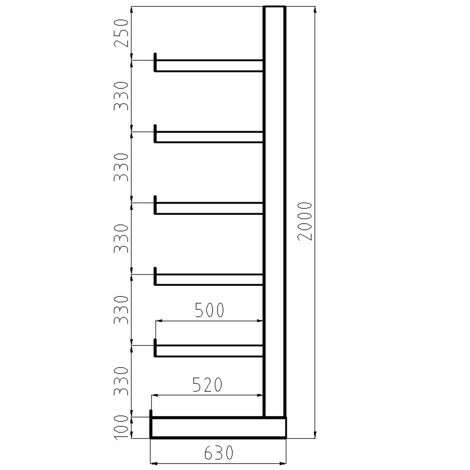 If the load is evenly distributed on one level, the arms of the same length can withstand loads of up to 200 kg. 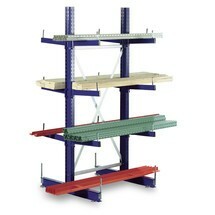 As a base unit, the cantilever racks are available in various sizes with different numbers of uprights. They can easily be expanded with the appropriate add-on units. 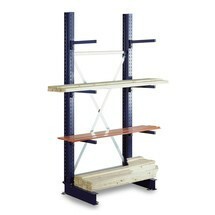 Create space in your warehouse for over-long items and order the META cantilever rack base unit from us here.